Mobile Reefer Repairs - Thermo King Repair - Carrier Repair! We supply all parts and accessories for your Thermo King refrigeration repair, and we come to you! 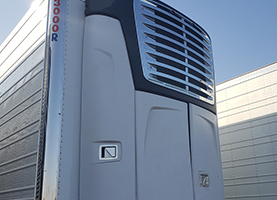 JC Transport Refrigeration is a repair company offering mobile services to transport refrigeration trucks and trailers in Fresno, CA and the surrounding area. We work tirelessly to complete jobs on time and under budget. Our motto is, “Honesty, Quality Service, Good Treatment, & Reasonable Prices, are our Goal!” We make it a priority to give all of our customers the same outstanding experience. 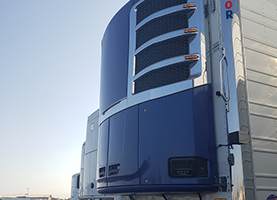 When you need a transport refrigeration mechanic, you deserve to know that the company you choose has the training, experience, and dedication to results that will get the job completed efficiently. Our technicians will not disappoint – we are here to serve you! Our specialties are truck air conditioning and industrial refrigeration system repairs. 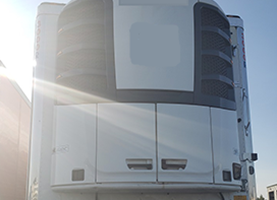 We travel to our customers in need, and ensure that your refrigeration systems are up and running when you need them the most. The temperatures in Fresno, CA become extremely hot in the summer. We will make sure that the goods you transport do not lose their integrity due to faulty refrigeration systems. Our customers are the backbone of the produce, medical, and floral industries. We help them provide high-quality products to consumers in need. We take our jobs very seriously, because we know the value of high-quality transport refrigeration repair services. We are experts in Carrier, Thermo King, and any other reefer refrigeration product lines. We also offer affordable and reliable air conditioning repairs for your trucks and trailers. No matter what the issue is, we guarantee to fix all of your problems on the first try. We are prepared for any issues you may have, and we will not waste your time. Get in touch with us for more information! We accept all major credit cards.